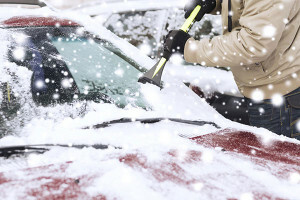 Is warming your engine a winter must? (BPT) – Warming up his car for a few minutes before heading to work is a winter morning routine for Steve Bailey. “I hate getting into a cold car, so letting it warm up for five minutes is as important for me as for the vehicle,” says Bailey, who lives in Minneapolis, Minnesota. 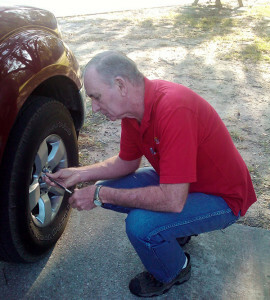 (StatePoint) Car repair and maintenance can put a strain on both a senior’s budget and back. With some smart and simple preventive care, you can reduce automotive troubles down the line. The last thing any senior needs is a blown out tire while driving. 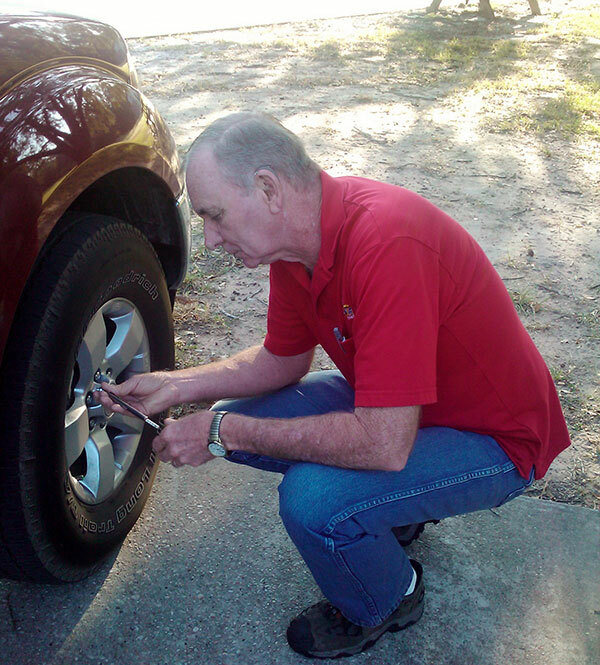 Avoid this dangerous scenario by checking the tread on your tires and the air pressure once a month. Tires with little or no tread and that are showing threads are unsafe and should be replaced immediately. For the recommended air pressure for your tires, do not go by the numbers on the sidewall of the tires. Instead, refer to the owner’s manual or sticker on the driver’s side door. Not only does proper air pressure decrease the likelihood of a blowout, but it increases your car’s gas mileage, and gives your vehicle better traction. The truth is that oil changes take time and money. However, if this task is not done routinely, then the overall health of your engine can be jeopardized. When using conventional oil, it’s recommended to change the oil every 3,000 miles. However you can save yourself some work and better protect your investment by using high-quality synthetic motor oil instead. For example, Royal Purple HMX is specifically designed to minimize wear and tear and restore performance in engines with more than 75,000 miles. Instead of the typical oil change once every 3,000 miles, synthetic oil can reduce the frequency to once every 10,000 to 15,000 miles, or once every 12 months, depending on how much your vehicle is used. For more information on how you can maximize your engine’s longevity and save money, visit www.RoyalPurpleConsumer.com. Don’t be the one left in the dark. Regularly check your headlights, taillights, turning signals and brake lights. Thousands of accidents a year are the direct result of failed lights. Check your lights by asking a trusted neighbor, friend or family member to walk around your car as you turn the headlights, taillights and turning signals off and on. Also, apply light pressure to the brake to make sure your brake lights are working as well. If a light is out, check the fuses. An easy do-it-yourself replacement can save you time and money. You don’t have to be a professional mechanic or overextend your budget to increase the lifetime of your car. Some simple proactive and regular care will go a long way in keeping you and your car together, far down the road. (ARA) – In today’s economy it’s more important than ever to take care of your vehicle. Engine maintenance is critical when extending the life of your vehicle. There is a lot of information available about the differences in oils and other maintenance components, but what no one explains is what to look for in an oil filter. The oil filter serves as the lifeblood for your engine. It is important because it cleans the oil and is capable of filtering high volumes of oil with relatively low restriction. How do you know which filter to choose and what are the differences between styles? Here is some information to help you decide. The shell is the outside casing you see when the filter is installed. It keeps your filter safe during the wear and tear on your vehicle, and protects it from punctures. The media is the filtering component. Depending on the level of filter you chose, media can be described as a maze of cellulose, synthetics and/or microfibers that remove the harmful debris from your engine oil. The core is the part of the filter that helps the filter keep its shape and prevents it from collapsing under extreme pressure. It is inserted inside of the filter media and can be made of a variety of materials. The base plate is the threaded component of the oil filter. In addition to providing the threaded attachment for the filter, it directs the oil flow through the filter. The gasket is the rubber ring that seals the filter to the engine’s oil filter base. This gasket is typically made of flexible rubber. Now that you understand the components of an oil filter, it’s easy to see that not all oil filters are the same. There are some key differences in the quality of oil filter you are purchasing. Most “economy” filters are very basic and last for a limited time in comparison to the higher end filters. These filters use media of natural wood fibers to sort out the debris in your oil. The “better” filter contains media that is a blend of fibers. The majority of the fibers are cellulose with a minimal blend of synthetic fibers that enhance the media strength and efficiency performance. The “best” or premium level of filters use micro-glass filter technology. Advanced micro-glass oil filters are designed to extend the life of vehicle and equipment. In addition to superior filtration media, the other internal and structural components are of higher quality materials, making for easier installation and removal, as they are much less prone to crush while installing or removing. These oil filters can extend change intervals up to 12,000 miles. Vehicles still under warranty should follow the vehicle manufacturer’s recommended filter change intervals.